Rembrandt Casino Review April 2019 | New casino in Canada! Canadian-based players can now enjoy playing a range of top casino games at the Rembrandt Casino, a product of Condor Malta Ltd. Read the following Rembrandt Casino review for a detailed look at what you can expect from this new brand and the opportunity to take part in an exclusive welcome bonus. You can see all the Rembrandt Casino details in the table below. The Rembrandt Casino offers online gaming through a MGA licence and Costa Rica gaming regulations. The casino is powered by big names in the casino game software industry such as NetEnt, Quickspin and iBetsoft, bringing popular slots, table games and video poker titles right to player’s doorsteps. 24/7 customer support is available at the casino to help out with any issues you may be having on the site and a variety of secure and easy to use payment methods can be used to get money on and off the platform without much hassle. At the moment users can access the Rembrandt Casino via mobile on a browser-based client. It is expected that a mobile application will be made available in the very near future easier access to mobile play. The Rembrandt Casino Welcome Offer is currently available to all new users who join the platform. The offer provides a 100% match bonus on a user’s first deposit worth up to €200 as well as 50 Free Spins on the Stardurst slot. 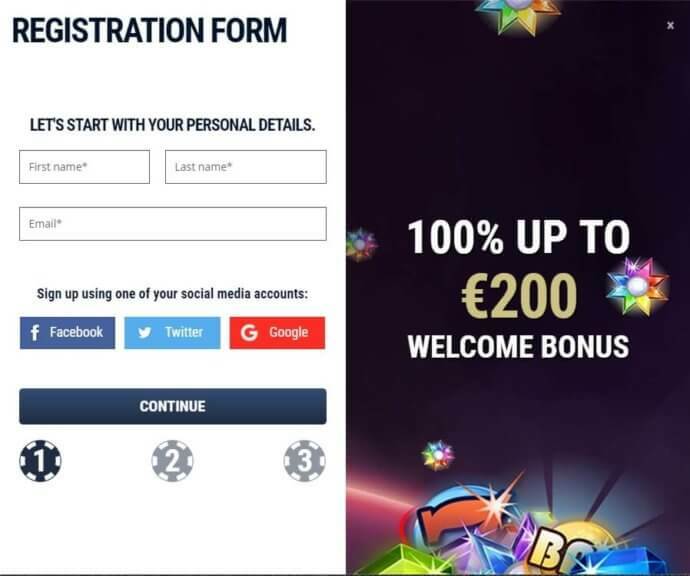 Basically if you make a deposit of €200 as your first deposit, you will receive another €200 in bonus cash for a total of €400, plus the 50 Free Spins. Only new users to the casino may take part in the welcome offer. Existing users cannot activate the bonus. A wagering requirement of 30X the bonus amount acquired must be fulfilled before users can withdraw bonus cash. Users may cash out of their bonus at any point, getting the portion of their bonus that they have wagered through. The remaining portion will be forfeited. Users will be required to complete the wagering requirement within 30 days, after which all bonus money will be forfeited. Not all game types count 100% towards the wagering requirement. Currently, new players who register at Rembrandt Casino can get the Rembrandt Casino welcome bonus – 100% bonus on up to €200 plus 50 Free Spins on Stardust. This is a deposit bonus, and you can find all the bonus requirements and the details above. Don’t miss this offer, register with the Rembrandt Casino bonus code and enjoy playing! The Rembrandt Casino games collection consists of over 400 slots titles, a variety of popular table games and video poker, as well as a brand new live casino section. Slots come in the form of video slots, classic slots, jackpot slots and fruit machines. NetEnt, Microgaming and Betsoft are three of the biggest slot games providers for the Rembrandt Casino, ensuring a number of popular titles such as Stardurst, Cleopatra and Gonzo’s Quest are available. Blackjack, Roulette, Baccarat and Bonus Hold Em are available in multiple casino games, each providing different rules and stakes. The live casino allows users to play with live dealers through a live stream, almost like playing in a land-based casino expect from the comfort of your home. The Rembrandt Casino can be accessed on mobile devices through a browser-based client. Simply visit the casino on your mobile browser and login to your account similar to your desktop client. No download will be necessary, however an updated Flash player will be required to run the casino games. The mobile browser-based client is optimised to mobile browsers to ensure a gaming experience comparable to playing via computer. There is no mobile app currently available for the Rembrandt Casino. The brand has however shown intentions to develop and app, which could be available in the very near future. This Rembrandt Casino review concludes that the platform shows much potential for Canadian-based users. The wide range of casino games and variety of casino bonuses gives users the chance to indulge in slots, table games and live casino games as well as receive bonus cash through a Rembrandt Casino No Deposit Bonus and seasonal promotions. Where the site stands to improve is by incorporating a mobile app for easier mobile use. Don’t forget that if you sign up at the Rembrandt with the exclusive welcome offer you can get up to €200 in bonus cash plus 50 Free Spins on Stardurst. Don’t miss out.